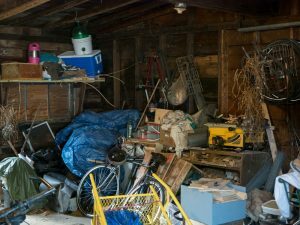 Taking steps to address a hoarding situation can be a difficult and emotional task, and you may not know where to begin or what to expect. While beginning the process on your own may seem like the more emotionally sensitive way to approach it, you may not be able to make appropriate choices about what to do with each item. Enlisting the help of professionals allow you to move along in the process efficiently, cleaning your home in a shorter amount of time. Hoarding stems from a mental condition that requires patience and empathy. If you are too close to the situation, you may not be able to navigate the situation with the level of precision needed to deal with things in a healthy, productive manner. An organization that specializes in hoarding cleanups will have members that are trained to handle the circumstances surrounding the call delicately and efficiently, assisting your loved one with patience and care. Professionals will have an organized way of sorting belongings into piles of items to keep, throw out and donate without exposing anyone in the space to any hazards among the belongings. A dwelling inhabited by a hoarder may contain waste and sharp objects among the piles, which a professional will be able to disinfect and remove safely. While you may wish to keep the condition confidential, having an understanding support team can ease the emotional stress of coming to terms with hoarding. Maintaining your privacy is crucial during this difficult time, and a professional team will work discreetly to transform your home into a healthy living space. If you or someone you know requires a hoarding cleanup, contact Flannery’s Handymen today. Our team is trained to handle each situation with the utmost care and sensitivity. If you have items you are not ready to part with, we will bring a U-FIL storage trailer to hold your belongings. To schedule a cleanout, contact Flannery’s Handymen by calling 781-775-9943 or by filling out our online contact form.